How to build confidence running outside alone. Finding the motivation to run is a challenge no matter who you are. If you’re not accustomed to running alone outdoors, there are additional barriers, particularly for women runners—personal safety, traffic, knowing where to run and feeling on display, just to name a few. It’s enough to cause some to forgo running altogether. Minneapolis-based runner Amanda Brooks can relate. A frequent traveler, she found herself ill at ease for years when faced with going out for a run in unfamiliar cities. This eventually prompted Brooks to develop a distance-based routing app for runners, called FASTZach, to make it easier to map out potential running routes. She found that being able to plan a route ahead of time and having voice navigation guiding her not only gave her confidence to get out the door, it also got her excited to tackle the miles ahead. Brooks isn’t alone in sometimes feeling wary about outdoor training. Depending on where you live, even running around your own neighborhood can be intimidating for a whole host of reasons. Despite these common reservations, there are countless reasons to put in mileage outdoors. Studies show that varied terrain and wind resistance make for a better, more all-around workout than logging miles inside on a treadmill. Many coaches contend these factors also lower your risk of injury. On top of that, when researchers compare indoor and outdoor workouts, they find that when people exercise outdoors, they report higher levels of enjoyment, vitality and enthusiasm, in addition to feeling less tense and fatigued. Studies have even found that people tend to work out longer when exercising outdoors compared to indoor sessions. If you’re unsure of where to start to establish an outdoor training regimen, a bit of forethought and planning can go a long way toward making it a safe and enjoyable activity. Consider the following tips in your quest to get out and pound the pavement (or dirt, grass and sand, for that matter). There are countless ways to identify a desirable running route. While you can scout a location by driving or biking first, going online to check out crowdsourced running maps or utilizing a routing app on your phone are more convenient options. If you aren’t sure about whether an area is safe and well-populated, look on a map for sidewalks and parks that indicate a pedestrian-friendly environment. There are plenty of online forums that offer crime statistics and other data that can help you determine if a particular neighborhood is safe. No matter the route you choose, be sure to let someone know where you’re going in case of emergency. Identifying bathrooms and water stops are also at the top of many runners’ wish lists when it comes to route features. This is another reason it can be handy to choose a run that goes near a park. Just be sure to check municipal websites to determine if the facilities are operational. If this all sounds a bit overwhelming, New York City–based coach Elizabeth Corkum suggests starting with a simple out-and-back route. “For someone really new to outdoor running, an out-and-back can be great because you can run by time—head out for half the time you plan to run and then simply turn around,” she explains. While running in the light of day is arguably safest, it isn’t an option for everyone. If you plan on running in the dark, it’s important to be equipped with the right gear and frame of mind. “For safety reasons I wouldn’t wear headphones when running in the dark, and I recommend purchasing a running headlamp that is light and comfortable and features a bright headlight and red flashing lights at the back of the head,” Schaeffer says. Awareness is key during morning or nighttime runs. Be mindful of the fact that while you may be able to easily see an approaching car, a driver may not be able to see you. What’s more, it is also important to stay alert for other safety issues you may encounter involving human beings, animals or just potholes in the road. Running outside presents a number of factors out of your control, especially when it comes to weather. Learning how to dress for the conditions will help keep you comfortable and happy. The rule of thumb is to dress like it’s 20 degrees warmer than the actual temperature. While that might mean you feel a bit chilly stepping out your front door, your core temperature will increase after just a few minutes of running. If you’ll be running in hot and humid conditions, consider carrying a water bottle with you or choosing a route that goes by a water fountain. In most cases, this is only necessary for runs that exceed an hour. If you find yourself frequently in need of hydration, there are plenty of runner-friendly bottles and packs available that can make carrying water an easy task. For rainy days, Schaeffer says, “The key to comfort is wearing a hat with a brim to keep the rain out of your eyes.” You will also need to simply be okay with getting wet—regular rain gear will trap heat and make you overheat. In general, if you’re not sure what to wear, layering allows you to shed extra garments if you find you’ve overdressed. This is especially true for winter running. When you mix and match, you always have the option to take off a layer and tie it around your waist. Flexibility is key when it comes to running in extreme conditions—think summer days with a high heat index or winter days when the roads are icy. Swapping an outdoor run for a treadmill session or turning back early is always better than risking a heat-related illness or a fall on slippery paths. 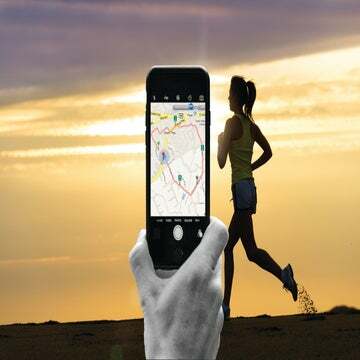 While a run is a nice way to unplug from technology, a cell phone can be a vital navigation tool, especially when you’re first trying to establish a suitable route. What’s more, most smartphones allow you to store medical and identification information in case of emergency. Headphones and GPS watches are other favorite tech accessories among runners. Depending on the runner, both can be excellent training tools. The key is not to let them distract you from the task at hand. If you find yourself fiddling with your playlist or obsessively checking your watch, try ditching the tech to see how it changes your running experience. Not only should you keep your eyes open for traffic and other potential hazards, you don’t want to zone out and become one yourself. By following the rules of the road, you better ensure your safety and the safety of others. This means running on sidewalks where available, running against the flow of traffic on roads, following traffic lights and signs, sharing paths with cyclists and always looking before you merge or cross a street or path. 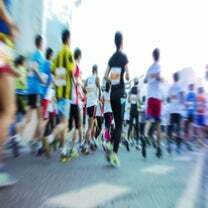 With time and training, you’ll gain confidence in the places you’re running and the routes you’re taking, but in the beginning when you’re running in unfamiliar areas, being alert is especially important. When alarm bells are going off in your head, respond and change course. If you’re looking for an added layer of security, there are compact pepper spray products designed just for runners, as well as self-defense classes tailored for women. Check with your local running specialty stores for ideas on where to find these types of workshops. If you’re new to running altogether, make sure to be strategic about not doing too much too soon. Even if you’ve been logging miles on a treadmill, running outside is a different animal. Give your body time to adjust by conservatively easing into your miles. “Many runners under-utilize certain muscles on the treadmill, and the changes in terrain and slight changes in stride length outside make a difference,” Corkum explains. If you’ve been running on a treadmill, she suggests starting by running around half of your mileage outside and slowly adding more outdoor training if you choose to do so. In general, most coaches will recommend following the “10 percent rule,” which means adding no more than 10 percent in mileage from one week to the next. Schaeffer says that she’s seen many runners get concerned with comparing themselves to more experienced running peers, friends and colleagues. “The result is worrying about not looking like a real runner,” she adds. It’s important to remember that if you’re out there running, you are a runner. Of course, that is easier said than done. Knowing that you will gain confidence over time can be comforting in the early days of training outdoors alone. 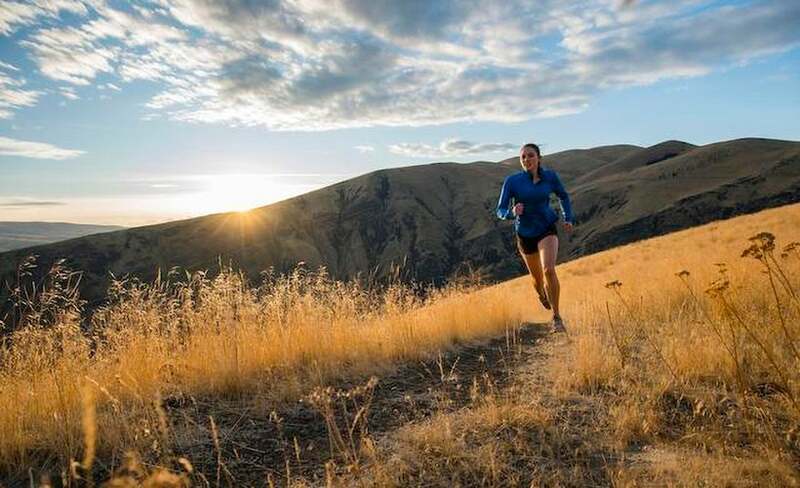 It’s all about taking the time to find a great route, getting the right gear and cultivating an attitude of openness to new experiences that characterizes outdoor running.